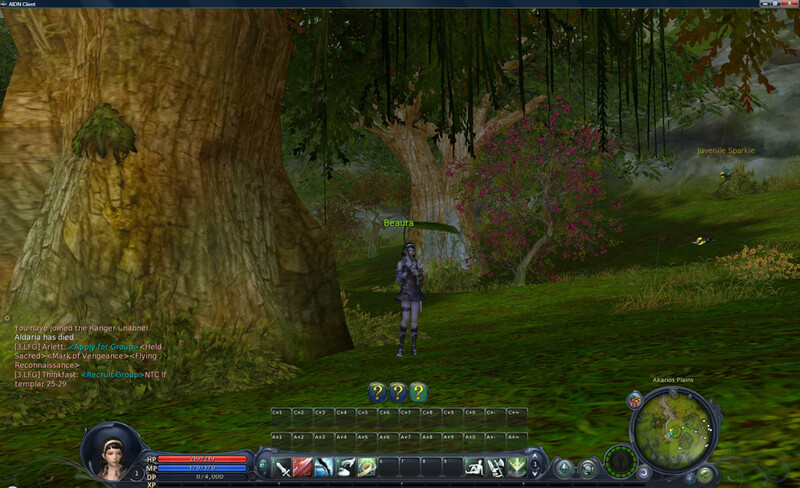 I tried the free to play Aion MMORPG available for download from http://www.aionfreetoplay.com/. I am on EU server “Anuhart”. I entered as one of the races of Daeva (assigned to me on account creation), and selected the Elyos faction and Scout class. It was raining, hence the leaf umbrella. The free to play Aion game allows for only 2 characters to be created, but gives access to all 55 levels, nearly 4,000 quests, and all territory travel, unlike the level 20 restricted World of Warcraft free starter edition. Entering a new world, with a new character, even though the interface had many similarities to World of Warcraft, reminded me how important scaffolding was, and the value of the community created wiki information sites. I will hold off creating my main (male) character with my usual name prefixed with “Ai” until I know more about the game and the factions. This entry was posted in IDGBL and tagged IDGBL. Bookmark the permalink.